"Everything was wonderful. All the nurses were great, helpful, pleasant and knowledgeable. Thank you all so very much for making my husband's surgery go so well." 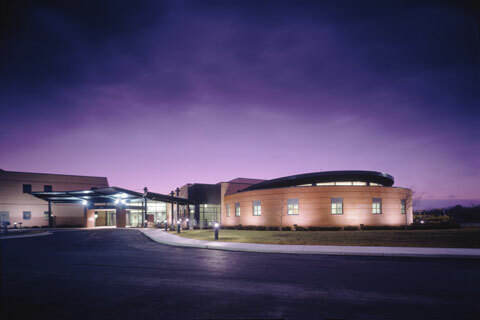 Why choose Tinley Woods Surgery Center? CONVENIENCE Tinley Woods Surgery Center [TWSC] is uniquely designed for outpatient surgery. From preoperative assessment to discharge, every service is on premises. There is ample private parking, entrances are canopied, and our building is handicapped accessible. We’re an approved Medicare provider, and participate in many managed care and health insurance programs. COMFORT Every conceivable effort is made to ensure your comfort…and that of accompanying family or friends. Our spacious facility is warm, modern, and smoke free; and our staff is particularly sensitive to your individual needs. CHILDREN receive extra special “For Kids Only” attention. We take the time to gain their trust and put them at ease. We even give them a ride to the operating room in a little red wagon! And, at TWSC, unlike hospitals, parents are permitted to remain by their child’s side…except when he or she is in the actual operating room. COST Surgeries performed in outpatient ambulatory surgery centers generally cost significantly less than comparable hospital services. Additionally, because we’re an approved Medicare provider, and preferred provider in the majority of local managed care organizations, our patients’ out of pocket costs are reduced. GUARANTEED SATISFACTION We’re so convinced that our service will always be delivered at the uncompromising level of excellence, we’re willing to guarantee it. How effective is our guarantee? Ongoing satisfaction surveys indicate that a remarkable 99% of our patients would return to Tinley Woods Surgery Center if they were ever to need surgery again. When facing surgery of any kind, you need to trust in your surgeon’s skills as well as the surgery center. Tinley Woods Surgery Center has earned the trust of its patients and their doctors. Outpatient surgery is the only reason we’re here! We are committed to ensuring that our website and mobile applications are accessible to individuals with disabilities. If you need assistance using our website or mobile application, or assistance with a document on the website or application, we can help you. Please contact us by email at info@mwsmg.com.